The Wacker Neuson Group is creating a production line for skid steer and compact track loaders here in the U.S. Wacker’s U.S. headquarters are in Menomonee Falls, Wisconsin, and the production line will be at this facility. The facility is on track to build equipment in early 2015 and at first will build four models. These models will only be sold at first in the U.S. and Canadian markets. Previously, all Wacker skid steer and compact track loaders were produced at the Hörsching site in Austria. 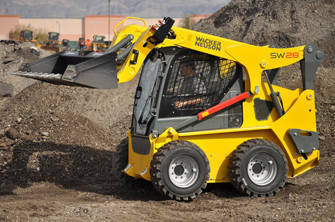 Walker Miller Equipment is a dealer of Wacker Neuson skid steer loaders in the Central Florida area. To learn more about this equipment, please contact us at (407) 299-2620.